Reserved Front Table seating is located in front of the stage and NOT covered by a roof. Limited Tables are available. Tables 45-52 are located in the front and have 6 seats to each table. 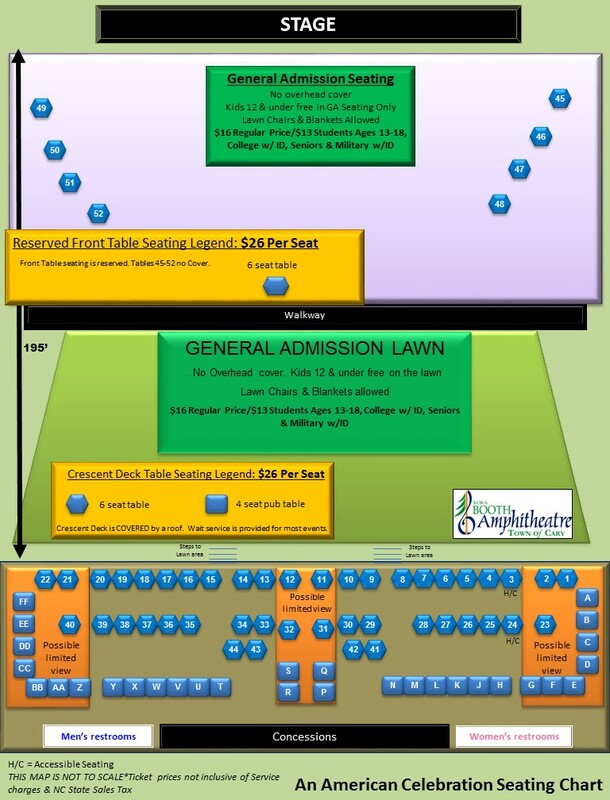 Discount Lawn tickets for Students ages 13-18 & College w/ ID, Seniors 60 & Up & Military Members with ID. You may be asked for ID at the gate upon entry.